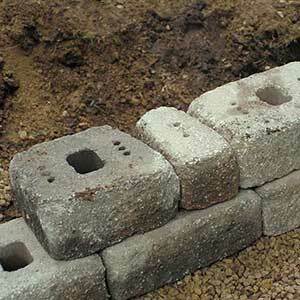 Concrete retaining wall blocks are the first choice in when retaining soil. 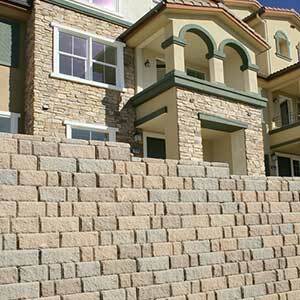 RCP manufactures a full line of Keystone and Bella Vista retaining wall blocks to meet any retaining wall project needs. 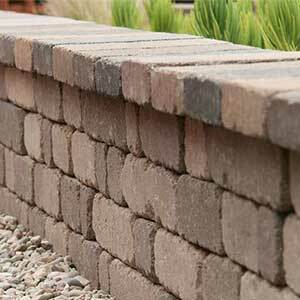 Consider the selection of residential retaining wall blocks for walls up to 36" in height. 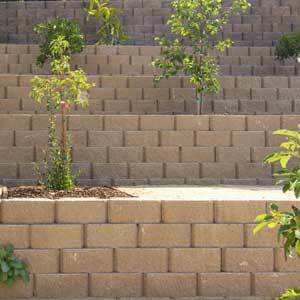 For taller, structural retaining walls, consider the selection of structural retaining wall blocks. 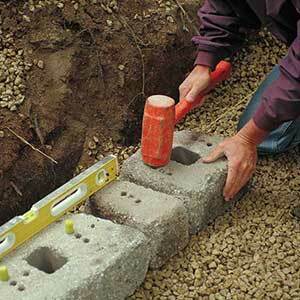 NOTE: Certain residential retaining wall blocks may be used to 6' in height with proper engineering. 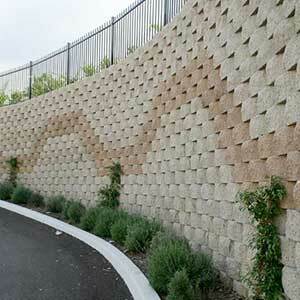 Gravity retaining walls are one of the most basic and common types of retaining walls. Gravity walls rely on a combination of block weight, connections, depth of buried wall, and wall setback to hold back soil. 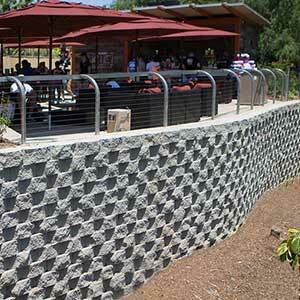 When the right conditions are present, and when built within their recommended height limits, Bella Vista and Keystone retaining wall blocks are able to resist lateral pressure solely with their weight and embeded depth. 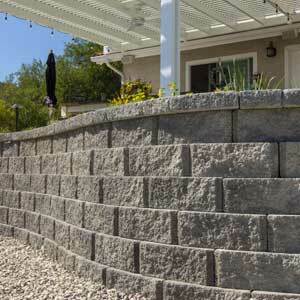 These mortarless, yet structurally interconnected (lipped units and specialized pins) retaining wall systems also permit water drainage to prevent hydrostatic loads. 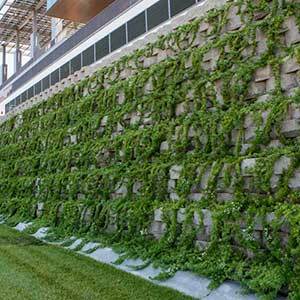 Gravity retaining walls are normally used in non-critical applications, where final wall height will be under 36". For information specific to your project, contact RCP Block & Brick. 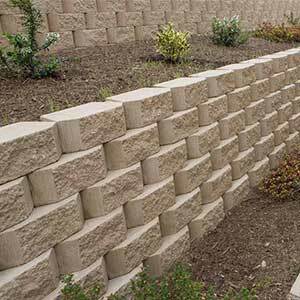 For taller walls, 3' to 50', retaining wall blocks are combined with soil reinforcement products such as geogrids, earth anchors, or galvanized steel grid reinforcing. These additional reinforcement products help to create larger composite reinforced soil structures. With a properly designed and engineered combination of products, the reinforced soil mass can support greater earth pressure and surcharge loads. 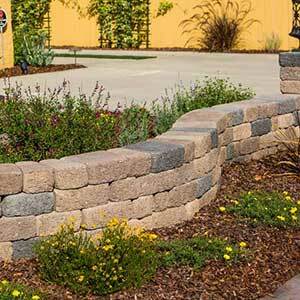 Many of the Bella Vista and Keystone wall block can be used to create free-standing landscape walls. 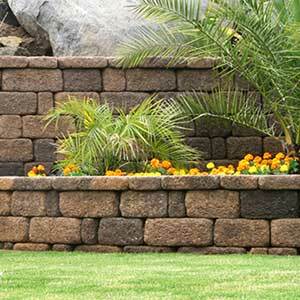 Freestanding landscape walls are simply decorative walls that are most commonly used for yard division or decoration. 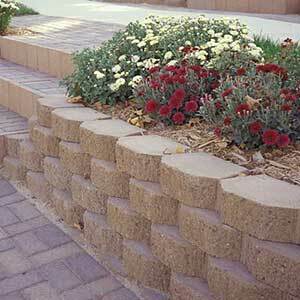 Freestanding landscape walls are not designed to hold back soil as is the case with retaining walls. Final wall height measurement includes any buried courses of block units. 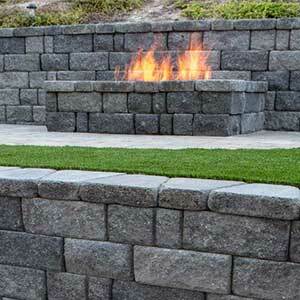 When planning your retaining wall or freestanding landscape wall project, the height of the wall will determine which wall block units you will use, and if engineering or permits will be required. Wall height limits are listed for each wall style. 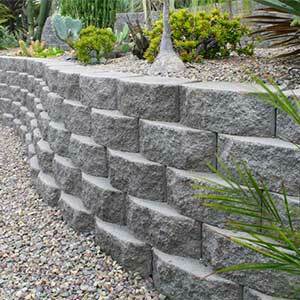 For retaining walls larger than 36", a building permit is normally required. 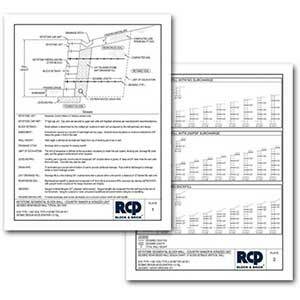 RCP Block & Brick provides Free Pre-engineered Standardized Manuals for many of its retaining wall block styles from 3' to 6'. These standardized manuals will help save you time and money during the permitting process. For more information contact RCP Block & Brick.